Welcome to Texas Best Pre-owned where honesty and integrity is our only marketing plan. Our company motto and daily goals are "getting Texan's back on the road". We do this by financing customers that have been through some difficult times, but are trying to start over. Our trade-up program will have you trading into nicer vehicles every six months without any additional money down!! We do things completely different than the other "big dealers" in the metro-plex, this includes the way we service our vehicles, sell our vehicles and finance our vehicles. Give us a call or stop by today and come do business the "Texas Best Pre-owned WAY!! 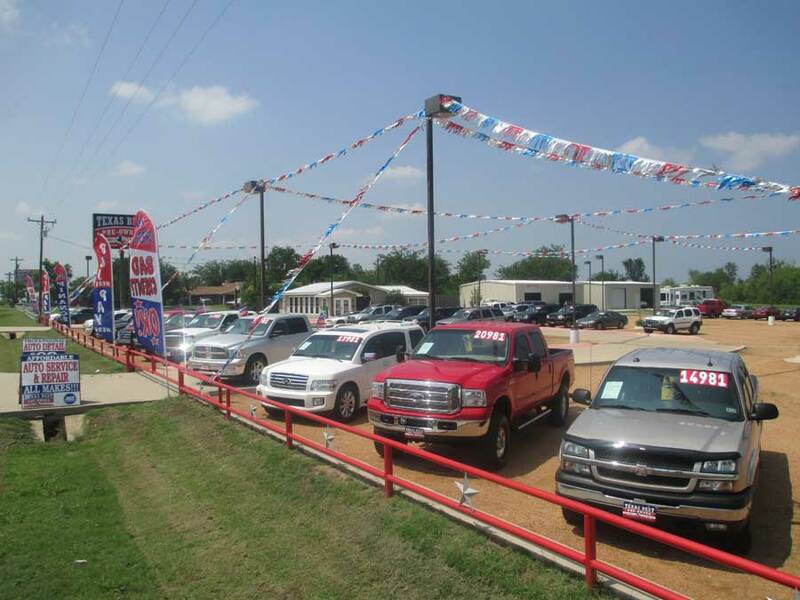 "We the employees of Texas Best Pre-owned will experience exceptional sales and service growth. These increases will be the result of our relentless pursuit of impeccable customer satisfaction that creates the "WOW" experience. These goals will be achieved by implementing the proper policies and procedures, by working as a team unified in purpose, and by treating each customer, as well as fellow staff members, with dignity and respect. This will be the foundation of our success. We the employees of Texas Best Pre-owned are dedicated and determined to focus and fulfill our company mission."